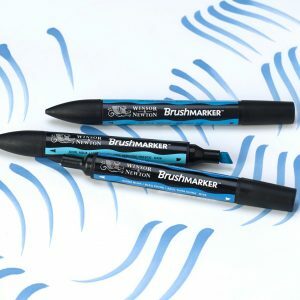 These markers work on most non-porous surfaces. Write on and then wipe off. 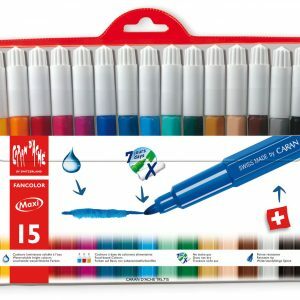 Caran D’ache Fancolor Maxi are large duameter felt tipped pens. Bright and transparent colours. Washable ink and available in sets only. 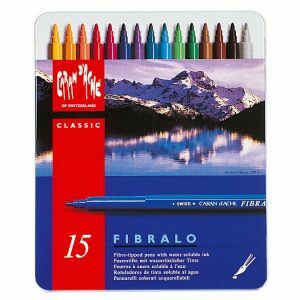 Caran D’ache Fibralo are fibre-tipped drawing pens with water-soluble and washable ink. 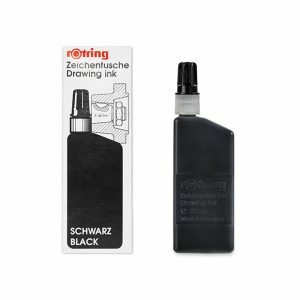 Ideal for sketching out drafts, drawing instruction and colouring. Various sets available. 23ml bottled Isograph refill ink. These inks are ideal for tracing paper, vellum and lineboard. 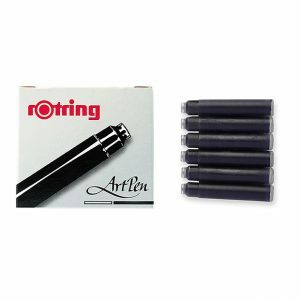 A range of Pitt Pen sets. 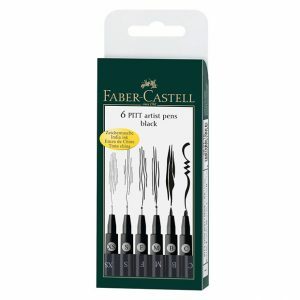 Ideal for a wide range of drawing styles by Faber Castell. 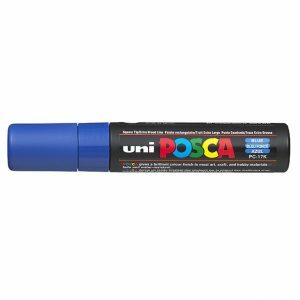 Posca paint pens can be used on almost any surface including wood, metal, textile, ceramic, plastic and glass. Promarkers produce vivid, bright colours right through to the subtlest pastel shades. The translucent ink can also be overlaid and blended. Twin tipped with alcohol based non-toxic permanent ink. 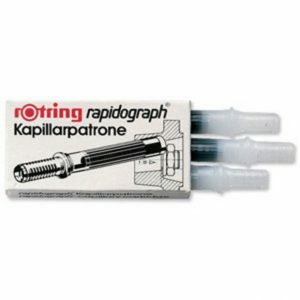 A box of 3 capillary ink cartridges for Rapidograph Pens. These inks are ideal for tracing paper, vellum and lineboard.